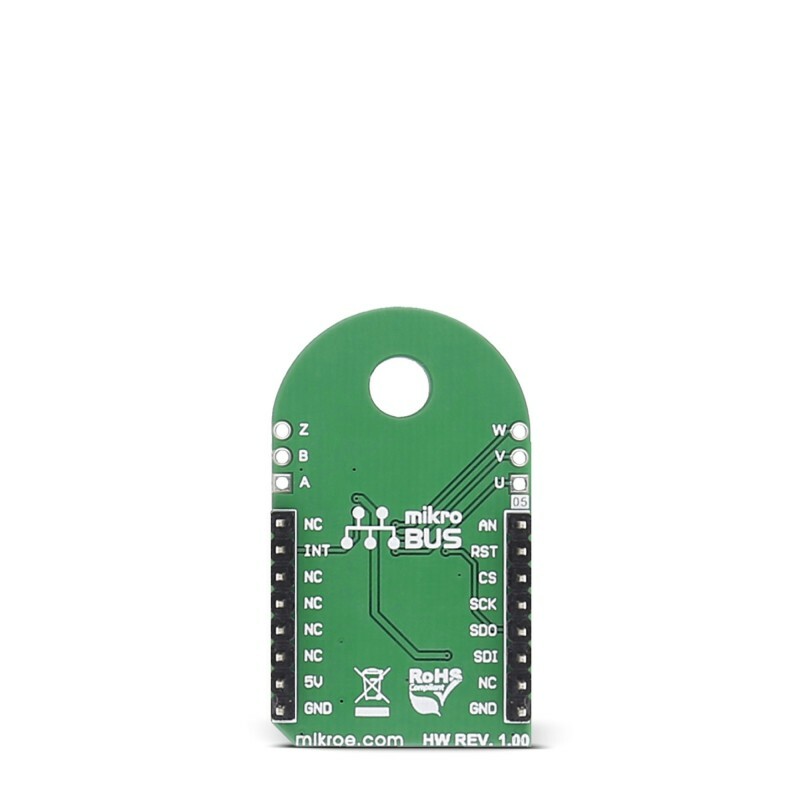 This table shows how the pinout on Angle 3 click corresponds to the pinout on the mikroBUS™ socket (the latter shown in the two middle columns). 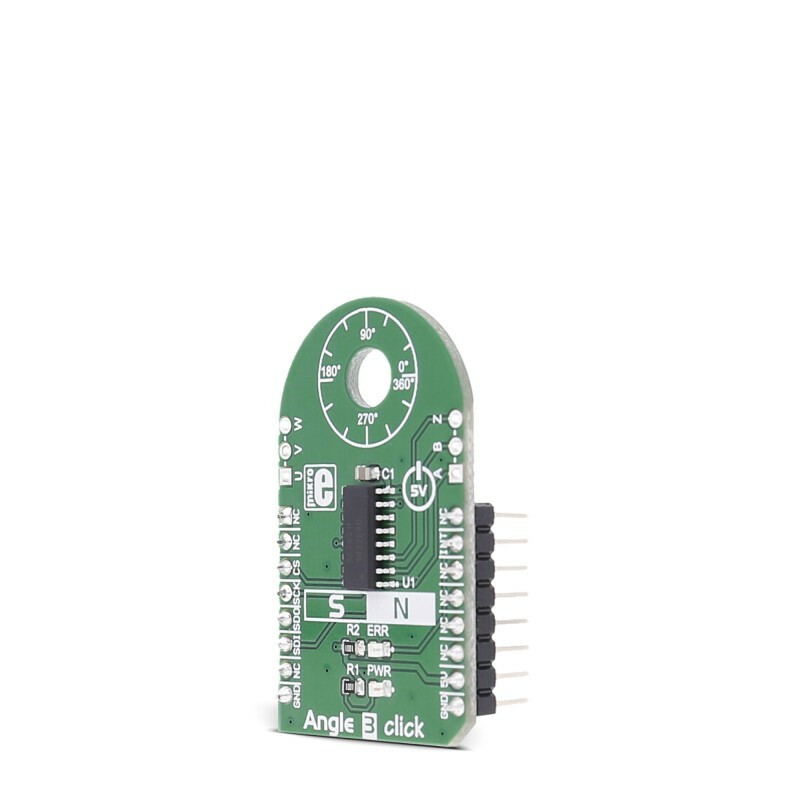 Code examples for Angle 3 click, written for MikroElektronika hardware and compilers are available on Libstock. 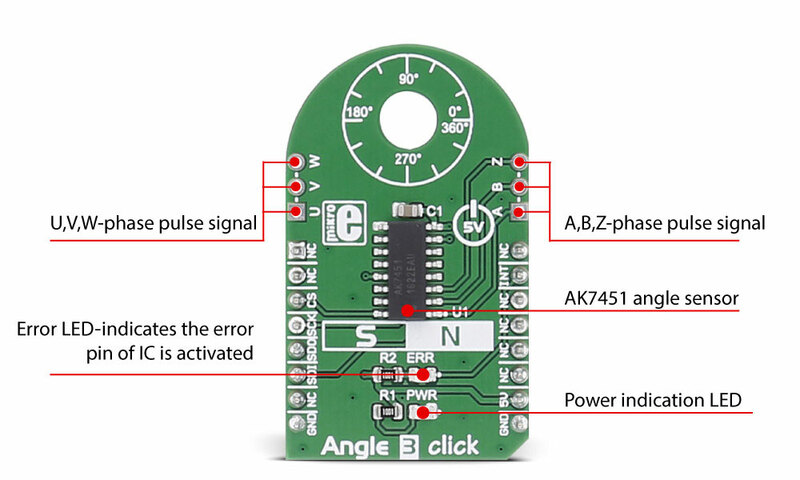 This code demonstrates the usage of the Angle 3 click driver on an STM ARM board. 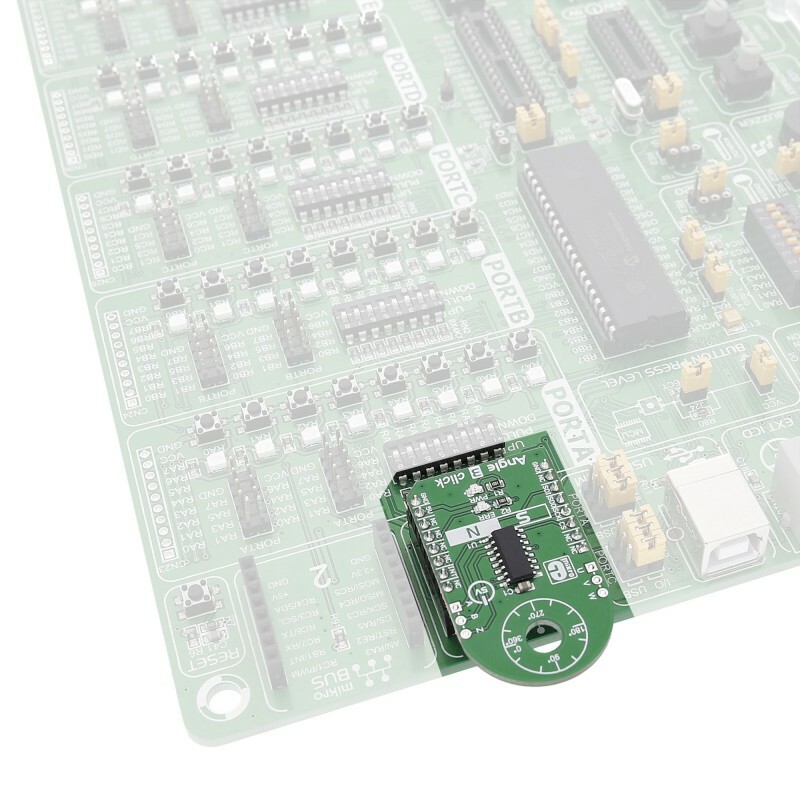 After the initialization, data from the click is being read, converted, and displayed via UART, in a loop. 04     uint16_t angleData;        // Angle data read from Angle3. 05     uint16_t angleDataDegrees; // Angle data converted to degrees. 06     uint8_t buffer;        // Buffer for characters to send via UART. 08     // Initialize the system. 11     // First write to UART. 22         // Read angle data and convert. 25         // Check the error bit. 28             // Send error message via UART. 31             // Continue with next loop iteration. 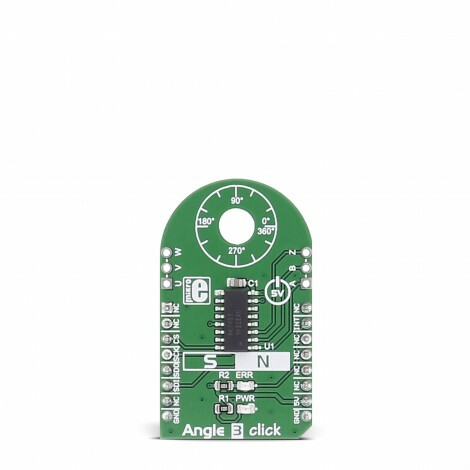 35         // Convert angle data to degrees. 36         angleData &= 0x0FFF; // Actual data is in the lower 12 bits. 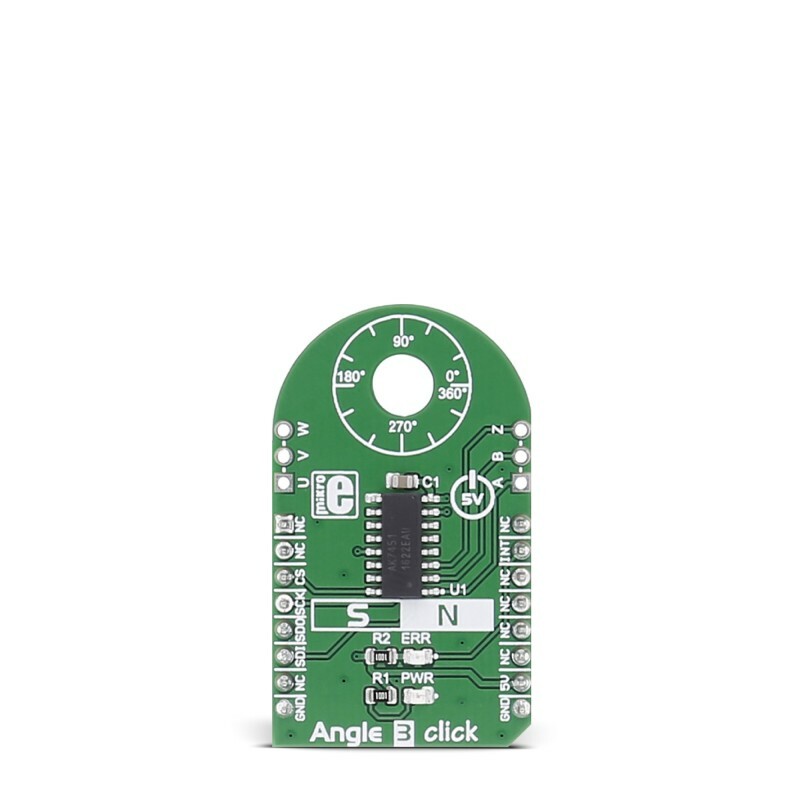 39         // Send angle data via UART.